My first memory of hearing these words, comes from the Christmas Pageants of my childhood. 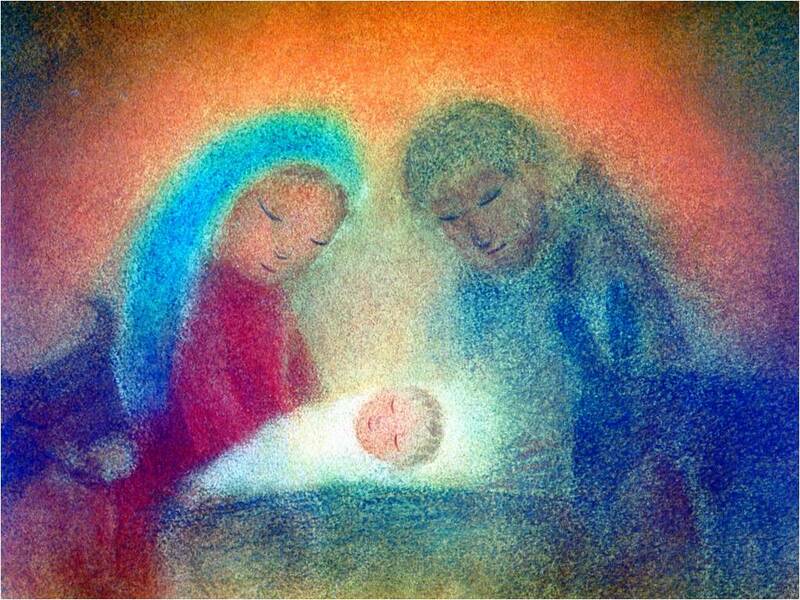 There would be that magical, mystical moment when under dim lights we would see Mary, Joseph and the baby. We would ponder God’s gift to the world. When I became a teen, I went from being in the pageants to planning them. One pageant stands out in my memory. I was directing the play in my small childhood church. Curtains were hung on a string that ran from behind the piano to the other side of the church. Between the wall and the piano were some very rambunctious angels. At one point in the play, the angels managed to pull the curtains down. We were forced to make speedy repairs. Throughout the pageant, a teenager was singing a song of eighteen verses spaced between scenes of the play. We were near the end of the program, lights dimmed and only one small light on the piano to see by, when one of our angels pulled the cord. Our light was gone. We were left to sing and play by the light of a solitary street light. As Mary sang, in the darkened sanctuary, one could sense that Christmas had arrived, in spite of or because of . . . our Messed up angels. “Each year the Child is born again. finally hears, finally sees, finally knows love. And in heaven – there is great rejoicing! There is a festival of stars! There is a celebration among the angels! Christmas has happened once more. God’s message of forgiving and reconciling love . . . continues to break into our world, even on this day, when tensions between the nations rise and fears abound. Christ was born for a time like this time, to remind us of both our future and our hope. Prayer: On this Christmas Day, we give you thanks O God, for the gifts of life and hope in Jesus, for the wondrous gift of love. Pull us back from our wanderings and open our hearts to joy. May we know the gift of your love and your presence in our hearts. Amen. This entry was posted in Advent & Christmastide Devotions 2017-2018, Christmas & Epiphany, God's Love, Hope and tagged Ann Weems, Christmas, Christmas Play, future and hope, I bring you good news of a great joy which will come to all the people; for to you is born this day in the city of David a Savior who is Christ the Lord, Kneeling in Bethlehem, Luke 2:10-14, rambunctious angels. Bookmark the permalink.